The 2019 Rye Arts Festival (14-28 September) is breaking new ground this year by putting tickets for selected events on sale now rather than waiting till mid-July as in the previous 47 years. The festival is offering an exciting menu of world-class performers and household names to delight and entertain. And the festival has announced a dozen such events early this year so the public (whether they are from Rye and the surrounding area or the rest of the UK, or even from across the Atlantic!) can see what’s on offer, book tickets and make plans for the end of the Summer accordingly. The inaugural cRYmE Day will be a great opportunity to meet, listen to and eat with four well-known crime writers – Simon Brett, Martin Edwards, William Shaw and Lynne Truss – and to find out tricks of the trade and what makes them tick. There are day tickets available to see all the talks plus a package that includes a four-course, crime themed lunch at the Mermaid (although a real murder isn’t on the menu). Lord David Owen will introduce his new book ‘Hubris – The Road to Donald Trump’ and the renowned military historian Sir Max Hastings (famously the first man into Stanley in the Falklands war) will talk about his new history of the Dambusters Raid in 1943. Other top authors include Sophie Hannah and the gardener Kate Bradbury. The classical music programme includes welcomes the violinist Tasmin Little with Martin Roscoe, Roderick Williams with Iain Burnside singing Schubert’s ‘Schwanengsang’ and Emma Kirkby with Dowland Works. The contemporary music features two of the UK’s best folk duos – Martin and his daughter Eliza Carthy, and Nancy Kerr with James Fagan. The Jim Hammond Blues Band will do what it says on the tin – play earthy, raunchy blues at its best. 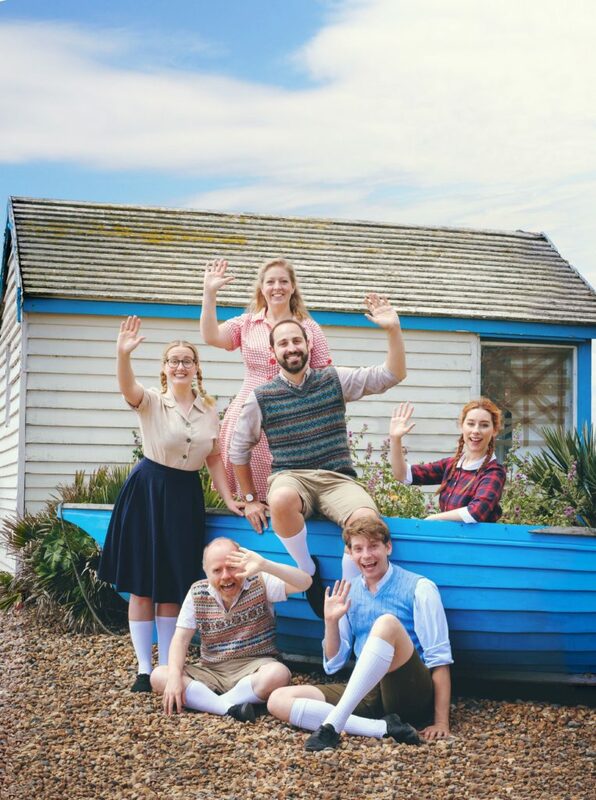 The festival’s drama programme includes the riotous Enid Blyton parody improv show ‘Bumper Blyton’ where you will be in danger of splitting your shorts laughing. The remaining 40 or so events of a full and packed programme will be announced in mid-July. But in the interim, tickets (with discounts of 10% for members and 15% for benefactors on unlimited purchases) for the dozen events flagged up above are on sale now, but they are available online only (and sales are ticking over already)! Check out the festival website. Image Credits: Rye Arts Festival. He is Lord Owen or David Owen, not Lord David Owen. The Rt Hon The Lord Owen PC CH, which perhaps I should have used! But the title he actually uses himself for his own ‘official’ website is Lord David Owen. Naughty! As Tony no doubt knows, ‘Lord David Owen’ would suggest the son of a Duke, as in ‘Lord Peter Wimsey’. I once knew a lady whose husband got knighted. She promptly ordered visiting cards (from Harrods naturally) in the name of ‘Lady Jill Smith’ (not her real name). She only realised her social solecism when Harrods refused to print them. Pedantry alert! Lord David Owen or Lord Peter Wimsey suggest (only) a younger son of a Duke! The enormously blessed and high achieving first-born son would get either a Marquess, Earl or Viscount title – for example, Earl Grosvenor! Hmmn, I wonder where Harrods would stand should Lady GaGa condescend to allow this commodious cornershop to print her calling cards!